Achieving the complex flavors of great Indian food at home can be difficult. It's a task your average dusty spice rack just isn't up for. 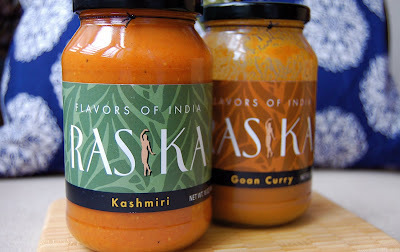 Which is why I was so thrilled to get my hands on a few jars of Rasika's new bottled sauces. Restaurateur Ashok Bajaj launched the take-home product this month. The three sauces — Makhani, Kashmiri and Goan curry — are based on recipes from Rasika head chef Vikram Sunderam and are available to buy at the restaurant. “We wanted to provide quality sauces the public can enjoy at home that offer up the distinctive flavors found in our restaurant,” says Sunderam. 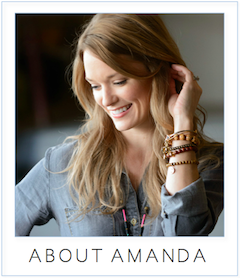 The 16-ounce jars cost $6.50 and come with recipe cards. I topped some red snapper with a few spoonfuls of the Goan curry, which packs nice heat with coconut, tamarind and chili. The Kashmiri is flavored with fennel seeds and ginger and is suggested with lamb. The Makhani is suggested for use with poultry. Thank you for not turning the bottles around so we see the fat/cream/calorie content. I enjoy my denial when I eat creamy North Indian food. I enjoyed lunching and wanted to take home the tomato basil soup at La Madeleine, when I looked at the nutrition label. So sorry I did. Won't be doing that again! Not that you wanted to know ... but it's really not that bad. The Kashmiri, for example, only has 2.5 g of fat in 1/2 cup.